Top Democrats are taking health care industry cash then opposing candidates who support "Medicare for all"
Seventy-five percent of Democrats support "Medicare for all." But the American health care industry appears to have pushed Democratic leaders away from backing House candidates who would support universal public health insurance. This backhanded approach occurs as key lobbies for the industry have united in opposition to single-payer with the creation of the Partnership for America's Health Care Future. A new Tarbell analysis shows the health care industry as a whole is giving generously to leaders of the Democratic Congressional Campaign Committee. The DCCC describes itself as "charged with recruiting, assisting, funding, and electing Democrats" to the House. The industry includes pharmaceutical and medical device manufacturers, hospitals, nursing homes and professional health associations. The industry investment appears to be paying off. Very few of the candidates endorsed by the DCCC in 2018 primary races support the idea of a national government health care program -- dubbed "Medicare for all" by champions of the proposal, including Sen. Bernie Sanders (D-Vt.). This strategy is being used even though "Medicare for all"enjoys strong support among Democratic voters. There is notable support from several potential 2020 Democratic presidential candidates including Sens. Elizabeth Warren (D-Mass. ), Kirsten Gillibrand (D-N.Y.), Cory Booker (D-N.J.) and Kamala Harris (D-Calif.). The industry is not trying to stop "a blue wave" election" so much as it is trying to shape it. If the strategy succeeds, a Democrat elected in 2020 who supports single-payer may find an uncooperative Democratic House caucus. The fear of single-payer is serious enough that major players in the industry recently teamed up to form the Partnership for America's Health Care Future. The group aims to stop "Medicare for all" from becoming "the default position among Democrats." The DCCC seems equally determined. Tarbell found the DCCC's endorsement strategy is closely aligned with groups like the New Democrat Coalition and Third Way, centrist groups that staunchly oppose "Medicare for all" and have clashed with progressive leaders like Sanders. "There is no question that there are powerful elements of the Democratic establishment who have been and are also beholden to the health care profiteers," said James Haslam, director of the Vermont-based Rights and Democracy, and an organizer in the fight for single-payer in Vermont, which was initially approved by state lawmakers but ultimately abandoned by former Gov. Peter Shumlin in 2014. "The challenge to win universal health care in this country is overcoming these stakeholders" which have spent enormous amount of energy and resources trying to undermine efforts for a universal health care system." The five members of Congress who comprise the DCCC's top leadership positions have received nearly $3 million in contributions from the health care industry in their careers. More than a fourth of it -- $781,520 -- has been contributed in the current election cycle (2017-18) alone, according to Tarbell's analysis of data compiled by the Center for Responsive Politics and the DCCC's finances. The DCCC, Tarbell found, has adopted an agenda that is nearly identical to a health care industry-friendly bloc within the Democratic Party: the New Democrat Coalition(NDC) -- which has long been hostile toward a "Medicare for all" type system. Since the beginnings of the "New Democrats" in the 1980s, the group has pushed the Democratic party to increase its relationships with donors in the finance and health care industries. In 2018, the DCCC has chosen to support 25 of the 27 candidates (93 percent) endorsed by NewDemPac(the Super Pac for the NDC) in the 2018 election. These DCCC endorsements come as there is record support for "Medicare for all" in both the House (H.R. 676) and Senate (S. 1804). The Senate bill, introduced by Sanders last year, is supported by Senators Warren, Booker and Harris. That embrace comes as the idea of expanding Medicare to cover all Americans is polling especially well. According to a recent Kaiser Family Foundation poll, 75 percent of Democrats -- and 59 percent of the general public -- support "Medicare for all." Democrats, independents, Republicans and the public at large, the poll also found, support "Medicare for all" more than the Affordable Care Act. "There is an old guard of establishment Democrats who are resisting what we see happening now: a strong, unapologetic push for a national health insurance plan," said Dr. Adam Gaffney, an instructor at Harvard Medical School and president-elect of Physicians for a National Health Program(PNHP), a progressive doctor organization that backs a "Medicare for all" style program. 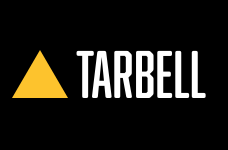 Tarbell is pioneering journalism that informs, galvanizes and changes America.